Washington (CNN) – President Barack Obama and his closest advisers are making it clear: They will not negotiate on the looming debt ceiling. In an interview on Sunday with ABC, Obama said he "will not negotiate...on the debt ceiling" because making a debate over the credit of the United States the norm would alter "the constitutional structure of this government entirely." 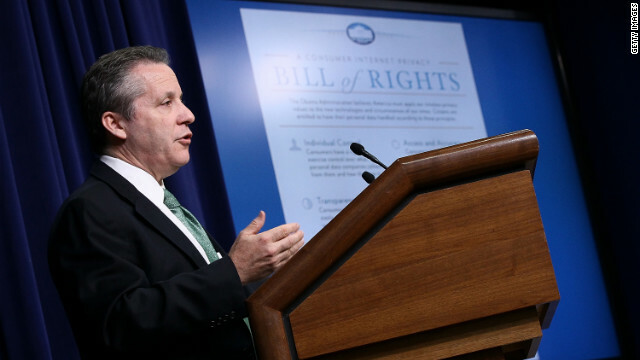 Gene Sperling, a senior economic adviser to Obama, echoed his boss's pledge on a Sunday call with reporters. "All (Obama) has said is that he cannot and will not and should not negotiate on the debt limit because to do so gives credence to the idea of any side threatening the default of the United States of America over a policy dispute," said Sperling, the outgoing director of the National Economic Council. "As you heard the president say, he is not going to negotiate over the debt limit, that we should not be negotiating over whether to pay our bills." The White House announced this week that Sperling would be leaving the administration post he has held since January 2011. The debt ceiling is set to become a pressing issue for the White House and Congress. Most economists forecast the country could run out of money as early as late October. If Congress fails to raise the nation's borrowing limit – which is currently set at $16.7 trillion – the government will be unable to pay the equivalent of a third of all the bills due during that period, according to analysis by the Bipartisan Policy Center. So far, the debate over the nation's borrowing limit has been overshadowed by possible military action in Syria. That is likely to change as the limit inches closer. Many Republican lawmakers have said they won't vote to raise the limit until certain spending cuts are implemented. Democrats have pushed back against that notion. House Speaker John Boehner, backing up what many in his Republican caucus have called for, has argued that Obama must negotiate before the debt ceiling is raised. "For decades, the White House and Congress have used the debt limit to find bipartisan solutions on the deficit and the debt," Boehner said at a news conference this week. "These types of changes were signed into law by President Reagan, Bush, Clinton and President Obama himself two years ago. So President Obama is going to have to deal with this as well." Although Obama negotiated the debt ceiling with Boehner in 2011 – talks that eventually broke down – Obama said Sunday making debt ceiling negotiations the norm would be bad for the country. "If we continue to set a precedent in which a president … is in a situation in which, each time the United States is called upon to pay its bills, the other party can simply sit there and say, 'Well, we're not going to … pay the bills unless you give us … what we want' – that changes the constitutional structure of this government entirely," Obama said. Sperling emphasized that the president's pledge to not negotiate on the debt ceiling did not extend to other areas of budgetary politics. If the government defaults on its debt in October, all payments issued by the Treasury Department could be in jeopardy, forcing the department to make difficult - and legally questionable - decisions about who should get paid and who should be stiffed. – CNN Money's Jeanne Sahadi and Chris Isidore contributed to this report. How about only spending what you have like the rest of us it's our money not yours to spend as you please.